Your bad faith insurance attorneys at Millin & Millin understand that after a major property loss, you may not have the fortitude to fight against unfair treatment from your insurer. However, it’s important to remember that you have rights and that you deserve to be treated fairly after making claim. 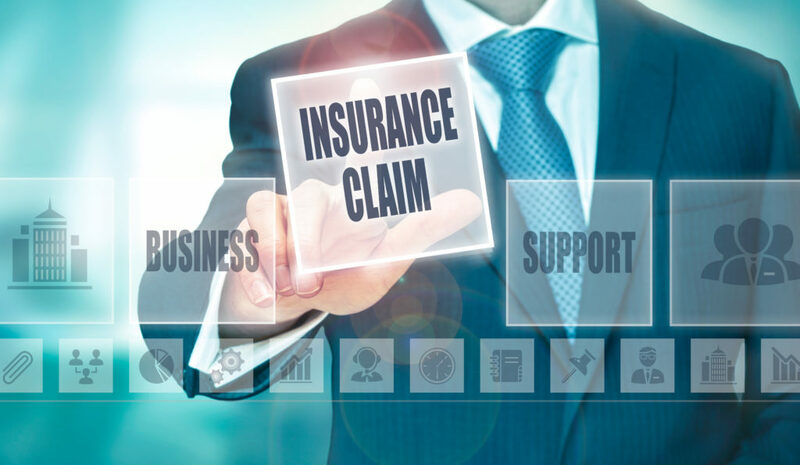 It’s also beneficial to recognize your responsibility as the insured and to understand what legitimate reasons are given for a large-loss claim denial. You lack coverage. As a business owner or proprietor of commercial properties, you may not necessarily carry the coverage that you need at the time of the incident. Because of the complexity of owning properties, you simply may not have been aware of what types of insurance coverage you may need. At times it may be that a portion of the property was not included in the policy or you were not covered for a specific type of damage. These are known as exclusion clauses. You fail to make a claim on time. Insurers will oftentimes have time limitations on when you can file a claim. By failing to notify your insurer in a promptly manner, you run the risk of having your claim denied. As additional damage can occur over the matter of a few days, insurance companies require filing and documentation of a claim to be submitted in a timely manner. Misunderstanding of what policy covers what type of damage. Business owners and large commercial property owners usually have several different policies that cover different aspects of their business. One policy may cover water damage, while another may cover fire damage, and in these instances, it can be quite easy to mistake the two and submit to the wrong policy or insurer. Insurance companies can make the claiming process much more difficult by passing on the responsibility to another insurer, so it is the responsibility of the policyholder to be aware of what policy they need to submit to—especially when considering time limitations. Non-payment of premiums. Keeping up with your premium payments is undeniably one of the most essential aspects of an insurance policy. Failing to pay your premium on time may mean cancellation of your policy (even if you aren’t aware of it), and even worse, a lack of coverage when you need it most. Insufficient or inaccurate documentation. Your responsibility as filer is to provide your insurer with proof that will validate your claim. It is essential that you therefore accurately document damage, take photographs of the damages, file all documentation accurately and truthfully, and submit everything in a timely manner as requested by your insurer. While insurance companies will act in bad faith by requesting an overabundance of documents, it is in your best interest to document all conversations that you have with the insurance, and maintain as many accurate documents as possible. Questionable claims. It is in your best interest to remain truthful throughout the claims process and to avoid adding any questionable claims. Insurance adjustors will investigate the claim and identify reasonably suspected damage, as well as, unrelated issues. Any “suspicious” claims may lead to a denial, even if legitimate. Therefore, do not make the process any more difficult on yourself. Failing to take preventative measures following a loss. Insurers will expect a policyholder to take preventative measures after a loss to mitigate the extent of loss. If it can be proven that you ineffectively left the damage exposed, nor took any reasonable steps to reduce the damage, a denial may be expected. You must take your responsibility as a policyholder serious to prevent a claims denial and to inhibit the insurer from merely taking advantage of you. Many of these tips fall in line with reasons why you may be denied, so take the necessary steps forward to properly file your claim. Contact your insurer immediately. As previously mentioned, all policies have a deadline of when you can file a claim. These timeframes vary by policy, so be aware of the specific time limit in your own. Make a list of damaged items. In instances of property damage to a house, you should create a list of items that have been damaged beyond repair. Do not throw out these items as the insurance adjuster will want to see them if they have been included in your claim. Track all living expenses. If you have been displaced and are forced to obtain accommodations at a hotel, then track all these expenses, as your insurer may reimburse you for those expenditures. Keep accurate records and do not include impractical charges. Take preventative measures. As previously stated, your insurer is going to expect you take the necessary steps to prevent further damage to your property. Only do so, however, after taking plenty of photos of the damage and accurately documenting the issues. Provide your insurer repair estimates and maintain receipts. It is in your best interest to hire a reputable independent adjustor who can make estimates on the damage. Provide these numbers to your insurer. More than just a claims denial? Are bad faith tactics being used? The attorneys at Millin & Millin are your number one advocates. If after several attempts to rectify the issue and negotiate a claim effectively, the insurance company continues to act in a malicious manner, contact Millin & Millin immediately at (956) 631-5600. Bad faith lawsuits can be complicated, but our experienced lawyers have the know-how to deal with any insurance company—big or small. The Millin & Millin bad faith insurance lawyers of the McAllen metro and Greater Rio Grande Valley even offer free case evaluations.